Use well known portals for the hotel booking: plenty of websites have come through which hotels can be easily accessed and booked. These portals work as platform to search for the hotels because most of hotels are registered with these websites. Various details that you would be looking for the hotels easily get available with these portals. Use search engines to find out the best suitable hotels: various search engines can be used to locate any hotel in your region. Google has also brought “Hotel Finder” in their services. This service is quite easy to use and access as in few clicks you will access required details of the hotels. Various classified sites can be also used: There are hundreds of websites which can be used for the process to find out the best possible hotels matching your requirements and budget. Various local travel agents can also help you to find the best deal for you. Contact details of travel agents are easily available through internet. What to do before going to Ooty? Get sure that you are not suffering from cold problem. Have some woolen or warm clothes with you. Make sure that you have no allergic problem from cold. What to see in Ooty? First of all, we would like to make clear that Ooty itself is a spot and you don’t have to find any particular place to visit. Once you are in town, scenic beauty of nature will be with you. No matter where you are in city, every part will serve you as tourist destination. Let me name some of the well known destinations in the city, which are always in the list of favorite destination of people who visit this city. What are different Cuisines Available at Ooty? This tourist town is located in southern part of India so it is quite obvious that you will get south Indian flavor in different cuisines here. One more thing should be noted that there are many restaurants in the city, which are capable of providing you the best possible food as per requirements of you. Multi-cuisines restaurants are getting quite common in this hill town as many big names have also come and invested at this hill station. How to Reach to Ooty? This hill station is well connected with rest of the world. Because of geographical oddness, airport has not yet come in city but helicopter service is available from nearby cities. BY Air: Coimbatore is the nearest city with airport which is near about 90 KM away from this hill station. Bangalore is also an option, which can be used to reach this hill station. From Delhi, Mumbai, Kolkata and other major cities, there are regular flights to Coimbatore and Bangalore. By Train: Mettupalyam is the nearest railway station which is accessible from major cities like Bangalore, Chennai, Mangalore etc. You can also go for nilgiri mountain railways, which is a heritage site. By Bus: because of being a major tourist destination in this region, Ooty can be easily accessed through buses from Bangalore, Chennai, Mangalore and other nearby cities. Roads are well built in this entire area so you can also go for self drive in the region. 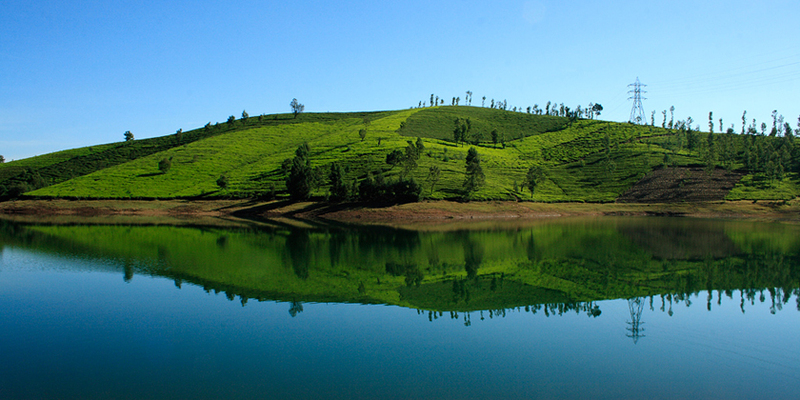 Ooty is considered as the queen of hills, which is in the Nilgiri region of southern India. In the last few years, tourist flow has increased considerably. Because of infra development in this region of world, foreign tourist influx is also visible.